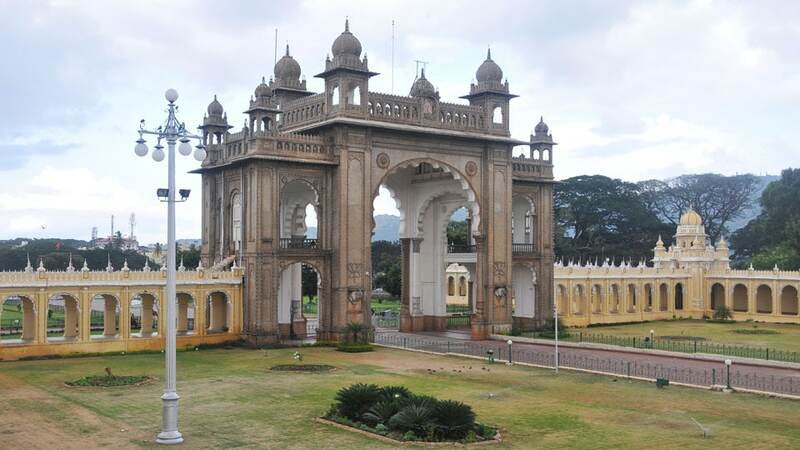 Apart from being home to many heritage buildings and structures of historical value, Mysuru is also known for its majestic arches, pillars and gateways. These architectural marvels, which are a treat to watch, are the gifts from Wadiyars, the erstwhile rulers of Mysuru. With Dasara round the corner, this Weekend Star Supplement takes its readers on a walk through some of these arches and gateways. The contributions of erstwhile rulers of Mysore are immense when it comes to education and culture. 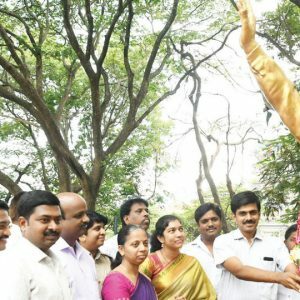 Mysureans, for generations to come, will continue to extol their contributions and the standing examples of some of them are Krishna Raja Sagar Dam, University of Mysore, Mysore Medical College, Mysore Paints and Varnish Limited, Mysore Paper Mills and many more apart from the iconic Palaces both in Mysuru and Bengaluru. Having given importance to art and culture, Wadiyars made sure to leave behind many impressive structural marvels and they today stand as a Royal stamp, reflecting their grandeur and aesthetic sense. Among these structures are marvellous arches and gateways which are built in front of some of these heritage structures in Indo-Saracenic style. Among the major arches are the ones built in all four directions of the Mysore Palace. 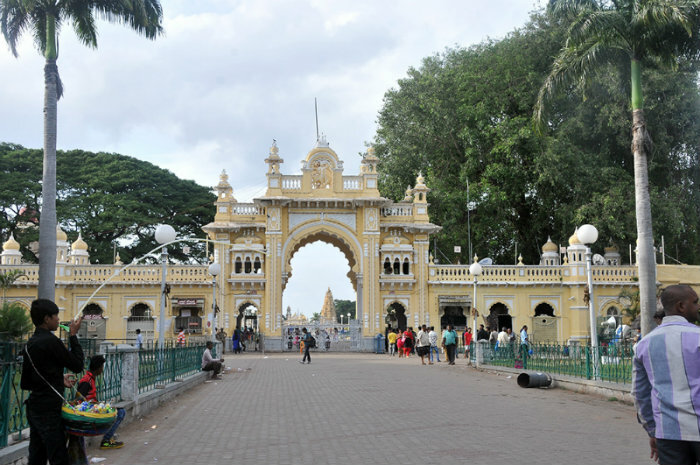 While passing through the Bengaluru-Nilgiri Road, people can see a magnificent arch built on the eastern side of Mysore Palace which is called the Jayamarthanda Gate, the grandest of all gates in city. History says that Wadiyars began their religious rituals from this gate like welcoming the Royal Horse, Royal Elephant, Royal Cow or bringing a palanquin inside. Even today, the practice is followed with Dasara elephants being brought into the Palace through this gate after traditional rituals. 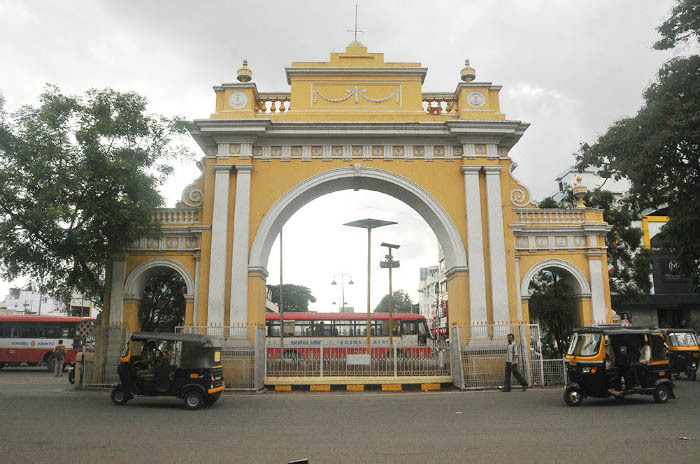 The gate was also used by the Maharajas to travel towards Chamundi Hill or Lalitha Mahal Palace. 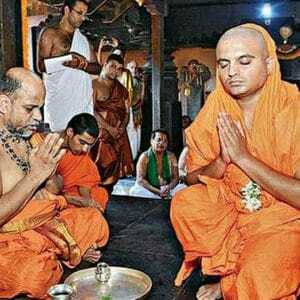 Near to it are the temples of Goddess Gayathri and Lord Trineshwara inside the Palace premises. Jayamarthanda Gate is open only once in a year to welcome the Dasara Elephants into the Palace. It is closed for visitors at all other times. Next are the Jayarama and Balarama Gates located on the northern part of the Palace. These are also equally popular as Jayamarthanda Gate as the elephant carrying the Golden Howdah passes through the Balarama Gate on Vijayadashami day, culminating the Navaratri festival. Attached to these gates are Kote Anjaneyaswamy Temple, Kote Ganesha Temple and Sri Rama Temple. 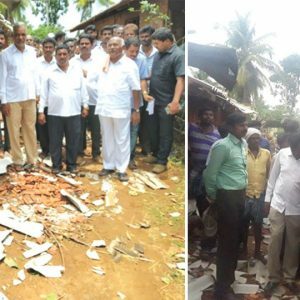 This also the place from where the processions and jathas are taken out by various organisations round the year. After visiting the Jayarama-Balarama Gates, one needs to travel towards the west side of the Palace on Sayyaji Rao Road to find the Brahmapuri Gate, the oldest among the gates at the Palace. This gate is known to be used by the Royal Family members to travel towards the Parakala Mutt, Jaganmohan Palace and the city market. This gate was also used by Parakala Mutt Seers whenever they visited the Palace on special occasions. Travel a little further, you will find the Karikallu Thotti Gate opposite the Mysuru City Corporation building. 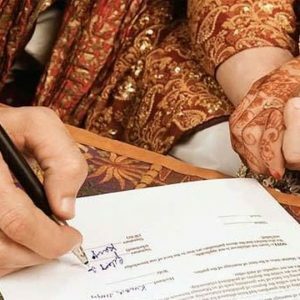 It is said that the royal family stocked up vegetables, groceries and other items at the Janata Bazaar building which was earlier known as Mothi Khane. And whenever there was a need, groceries would to be brought to the Palace through the Karikallu Thotti Gate. After this is the Amba Vilas Gate towards the South of the Palace on Purandara Dasa Road located in between Mysore Palace and CADA (Cauvery) Office. 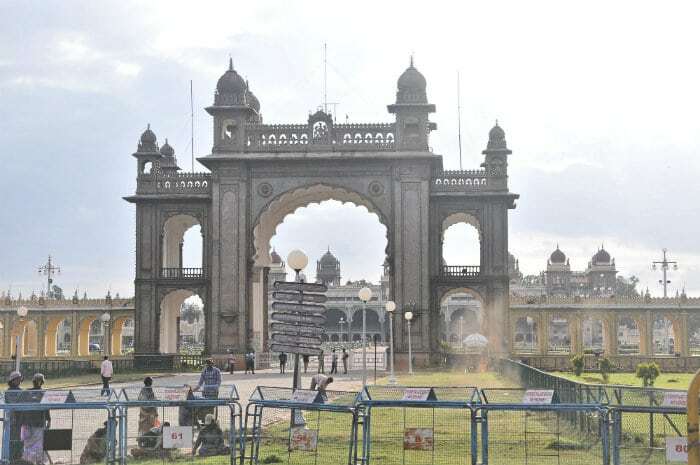 It is said that the gate was used by the royal invitees and durbaris to enter the Durbar Hall while the Khas Durbar was held during Dasara celebrations. On travelling a little further, is the Varaha Gate, also in the southern part, which is now a tourist entry point to the Palace. It is said that the gate was constructed for the internal security purpose of the Palace. The gate is located near the Gun House were the Mysore Kings used to keep their weapons. Varaha Gate used to give easy access to the Gun House and near this is the Varaha Swamy Temple. Apart from magnificent arches of the Mysore Palace, the city also has a few majestic gateways which were earlier the entry points for guest houses and other offices built during the Wadiyar rule. The oldest among the gateways is probably the one located opposite to Sub-Urban Bus Stand. This was earlier the gateway for the Government Guest House built during 1805 by the British to accommodate high-rank officers of the East India Company. The gateway near Sub-Urban Bus Stand. 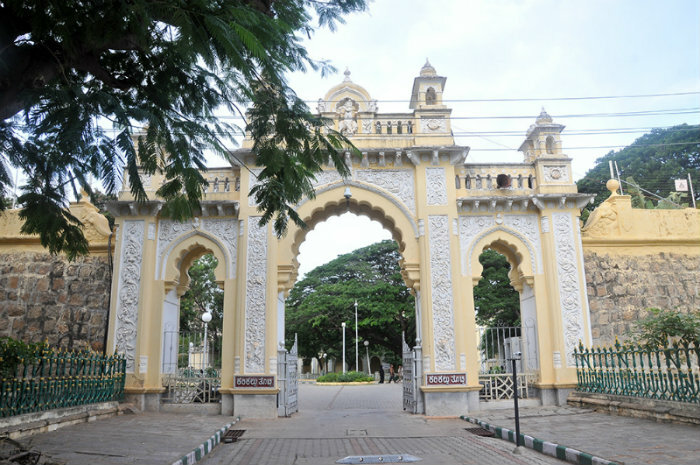 There is another gateway on the Krishnaraja Boulevard which was the entry gate for the residence of James Davidson Gordon, the then Chief Commissioner of Mysore during the British Rule. The building is now the Deputy Commissioner’s office. It is believed that the gateway was built along with the building in 1895. 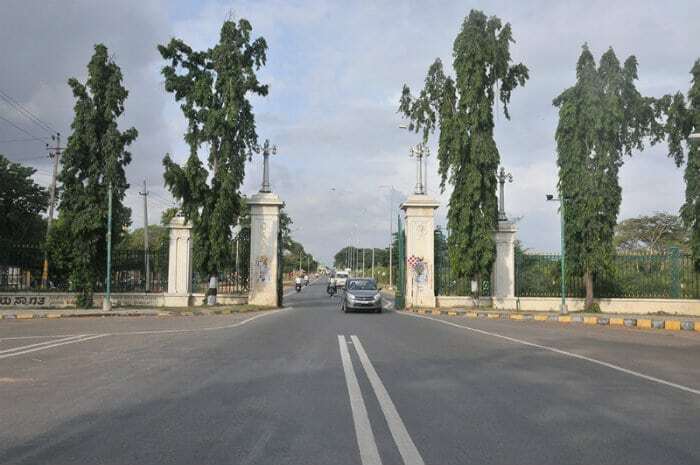 This gateway leads to Crawford Hall, Oriental Research Institute, Yuvaraja and Maharaja Colleges. Gateway on the Krishnaraja Boulevard that leads to DC office. A gateway which is prominently seen is the one on the Ashoka Road which leads to St. Philomena’s Church from the Fountain Circle at N.R. Mohalla. 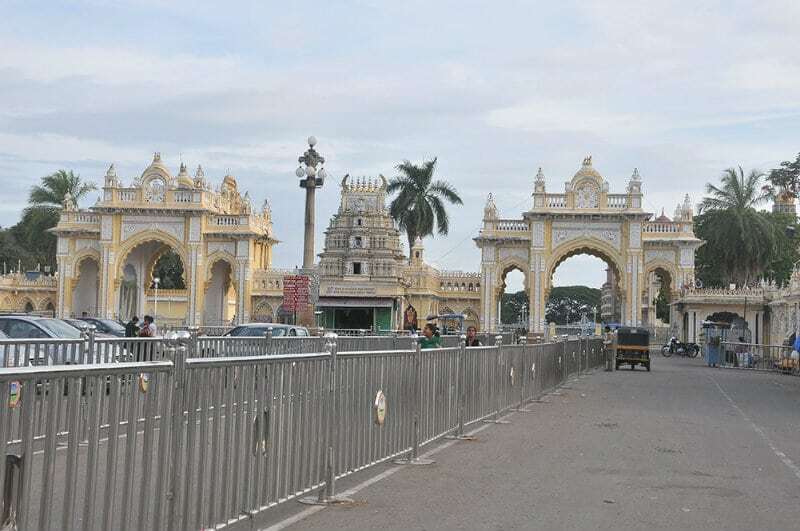 The heritage department and the district authorities have made sure that the gateways on the Krishnaraja Boulevard and Bengaluru-Nilgiri Road are protected by installing iron railings. One of the oldest gateways on Ashoka Road. 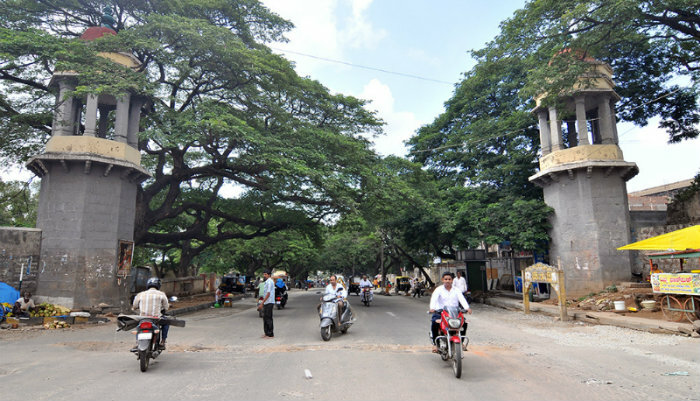 As you take the Bengaluru-Nilgiri Road, you cannot miss the giant arch in front of the Karnataka Exhibition Grounds that is a part of the Doddakere Maidan. The arch sports a main gate and two gates on the sides that are usually used to allow visitors inside. This arch is illuminated during Dasara and all the days of Dasara exhibition that is held between October and December every year. 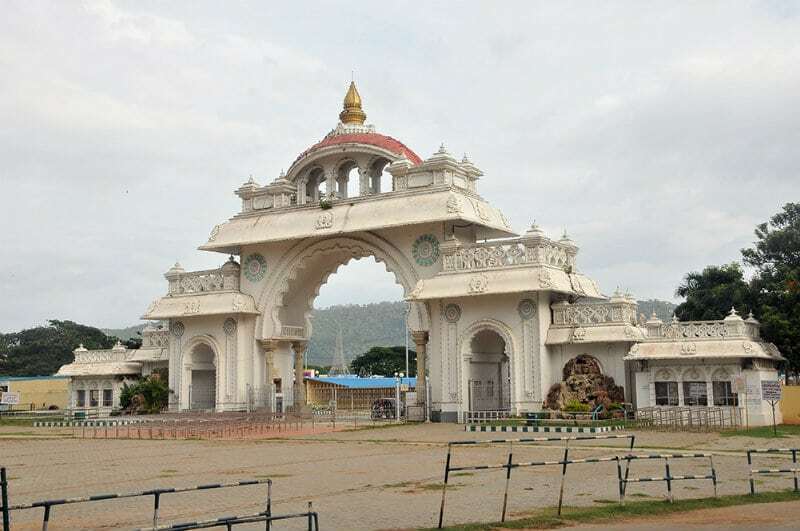 Entry arch at the Dasara Exhibition Grounds. 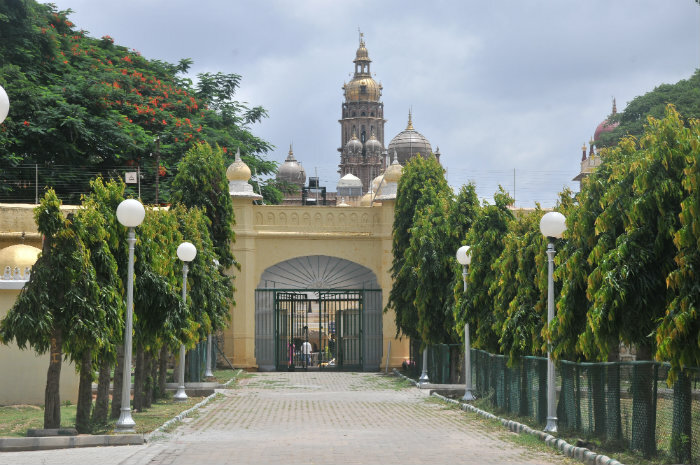 But the most popular gateway is the one located on the T. Narasipur Road that leads to Lalitha Mahal Palace Hotel. 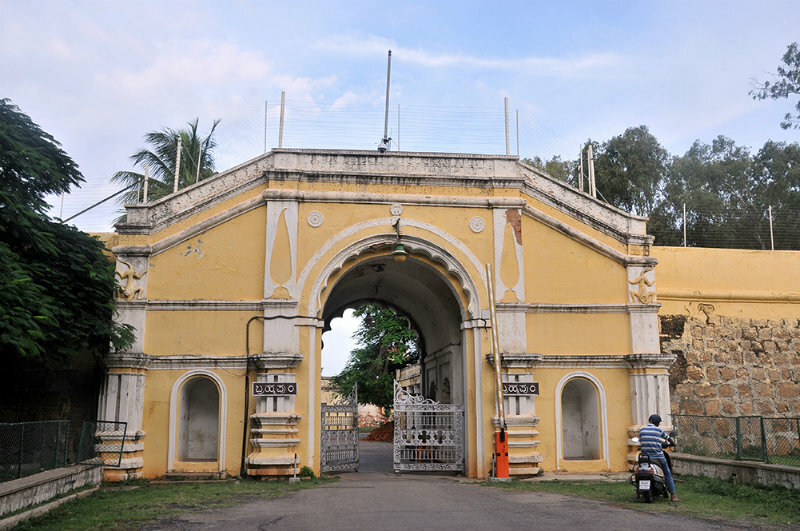 This gateway was built at the time when the Lalitha Mahal Palace was constructed during 1920s. 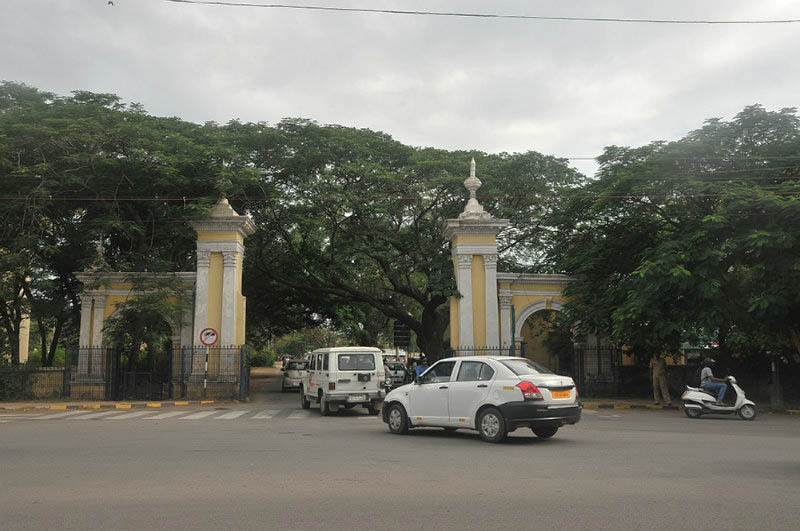 Lalitha Mahal Palace Gateway on T. Narasipur Road. Unfortunately, exact and reliable information on these landmark gateways is not available. There is a need for authorities concerned to come out with information on these structures which are historical marvels of Namma Mysuru. and installing information plates with name, date of construction and agenda behind it to maintain heritage of it has to done.